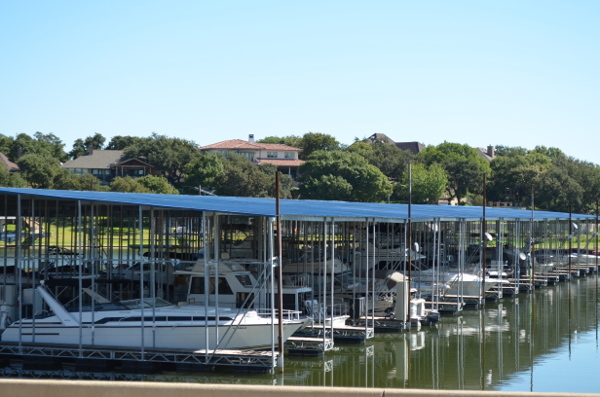 Construction crews are busy along Eagle Mountain Lake in north Texas this year, renovating three marinas owned and operated by Suntex Marinas. At Lake Country Marina, Suntex is replacing 42 of its decades-old slips with new docks built by Meeco Sullivan. “The number of slips will remain the same, but the configuration will be different,” said Don King, Suntex Marinas’ Texas regional manager. “We are taking out old 30-foot slips and replacing them with 24-foot slips to accommodate our new market, which is wakeboard boats, pontoon boats and small family boats.” The new docks will include high-power pedestals as well. Crews will be removing the old poured concrete docks, recycling the steel frames and whatever else they can from the site. Meeco Sullivan, which is supplying and driving the galvanized piling, plans to have all materials on-site by mid-March. The docks should be ready by mid-April. Lake Country Marina will also be getting a new courtesy dock to serve as temporary mooring for its 250 dry stack boats. With the addition of power pedestals, the dry stack boaters will be able to wash and vacuum their boats or easily inflate water toys. Suntex Marinas has upgraded the road and paved the parking lot for the docks. It will also be remodeling the bathroom facilities, installing showers and upgrading the fixtures. Meanwhile, at Harbor One Marina, Suntex is replacing an old 30-foot dock with a new same-size Meeco Sullivan dock that includes a gathering deck. The new dock will offers slips from 20 to 30 feet with upgraded power. The bathrooms at Harbor One will also get an upgrade. A new rental boat operation at the marina could encourage those potential boaters to enjoy some time on the water as well. Last year, Suntex Marinas completed several dock projects at its third marina, Eagle Mountain. This year the biggest in-water work will be the replacement of an underwater truss and the relocation of the rental dock. 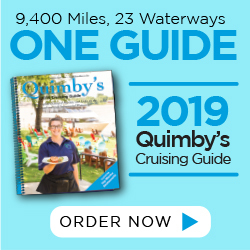 The big change for this 300-slip marina will be the complete remodeling of the two-story, 15,000-square-foot restaurant building and its adjoining 5,000-square-foot deck. The park area at the marina will be getting a new playscape with water activities for the kids as well. “It’s going to be more of a destination facility than simply a marina,” said King. Eagle Mountain Marina also includes a boat club.